We model and manage healthcare payer contracts with turnkey, user-friendly cloud software at a fraction of competitors' prices. Boost your net patient revenue by identifying and overturning underpayments and wrongful healthcare denials. 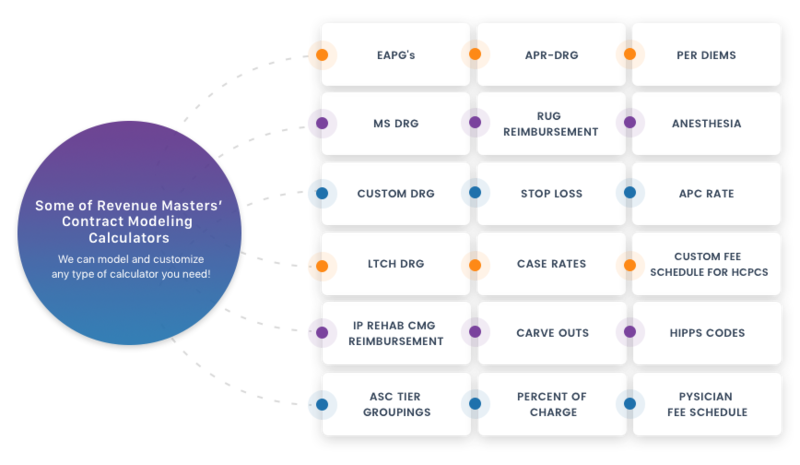 Because your contracts are all modeled in Revenue Masters software, we don’t rely on 835 remits like most healthcare contract management systems. 835 remits reflect the payer decision to pay or not to pay. Since payers use incorrect and dated rates, don’t update renegotiated rates, apply inappropriate discounts, downcode claims inappropriately or simply don’t follow their contractual agreement, the 835 remits reflect incorrect data. With Revenue Masters you see exactly why it was denied and what to do next to successfully overturn your denials. ‌Ability to accommodate all government fee schedules and regulations for both inpatient and outpatient (i.e. Medicare IPPS, Medicare OPPS, Medicaid, Work Comp Fee Schedules, etc.). ‌ Ability to identify and build contract terms in order to calculate reimbursement based on one or more combinations of: Place of Service code, ICD-10 code, CPT code, Modifier code, number of units, etc. ‌ Ability to accommodate tiered allowances when multiple procedures or charges are performed on a single encounter. 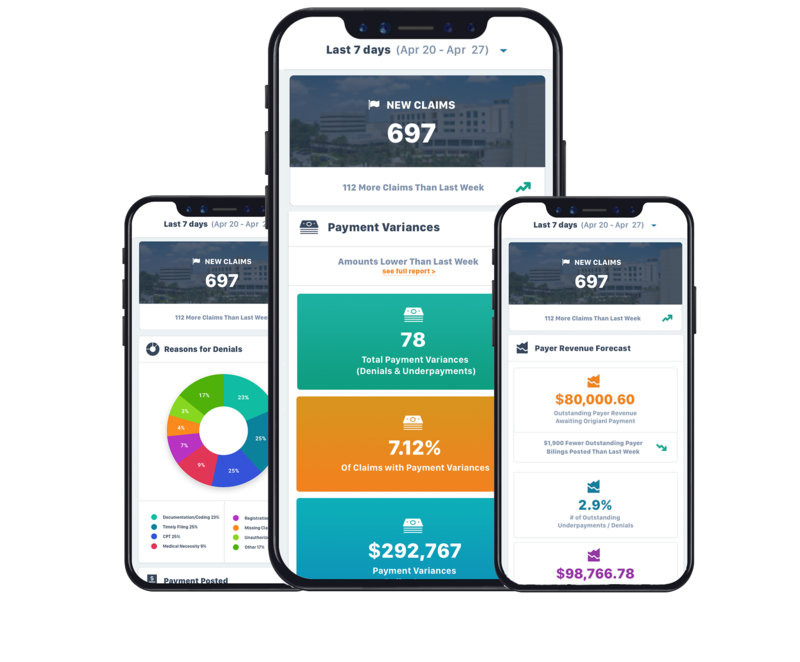 ‌ Ability to calculate reimbursement based off of place of service, patient age, bill type, bill charges, diagnosis codes, discharge status, value codes, condition codes, CPT, HCPCS, revenue code, modifier, length of stay, physical status codes, and physician NPI. These items can be entered in multiple combinations or even single entry. Allows hierarchy or order of operation per contract.